Ministers, soccer legends, and members from the African National Congress Women’s League attended the service at the Khuma stadium. 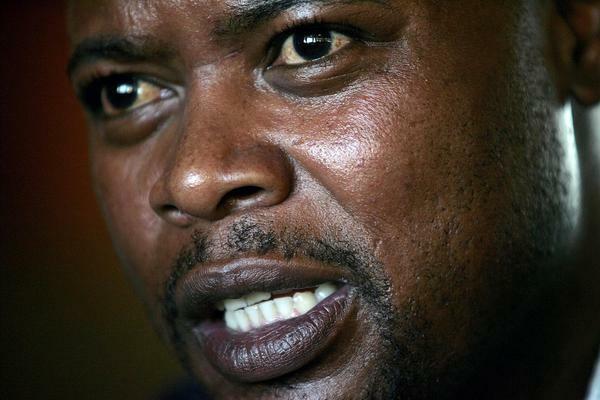 Mourners were filing into a giant marquee pitched at the centre of the Khuma stadium near Stilfontein for the second leg of the memorial service of the former Bafana Bafana legend Phil “ Chippa” Masinga in his hometown on Tuesday. Ministers, soccer legends, and members from the African National Congress Women’s League attended. Giant screens were erected inside the tent. Retired soccer player Fabian McCarthy and renowned sports commentator Oshebeng Keonyaditse directed the programme. Masinga’s former teammate Eric September, as well as the representatives of the class of 1996 that won the Africa Cup of Nations, Lucas Radebe and Neil Tovey, were also expected to speak. North West sports development member of the executive council (MEC) Sello Lehari is the main speaker. Born Philemon Raul Masinga on June 28, 1969, in Khuma, Stilfontein, near Klerksdorp, the former Bafana Bafana prolific striker died on January 13 at a hospital in Johannesburg. He was 49. He was admitted to Tshepong Hospital in Klerksdorp last month before being transferred to Johannesburg. Masinga represented South Africa in 58 international games, scoring 18 goals. He played for Leeds United, moved to Switzerland with St. Gallen in 1996, followed by spells in Italy with Salernitana and Bari, among other teams abroad. He would be remembered for scoring a decisive goal that took South Africa to the 1998 World Cup in France. He would be laid to rest on Thursday in Khuma, he had been accorded a special provincial official funeral category 2, offered for distinguished persons specifically designated by the president of South Africa upon request by a premier of a province.